Taking a Lingerie brand out of the bedroom and into the boardroom. 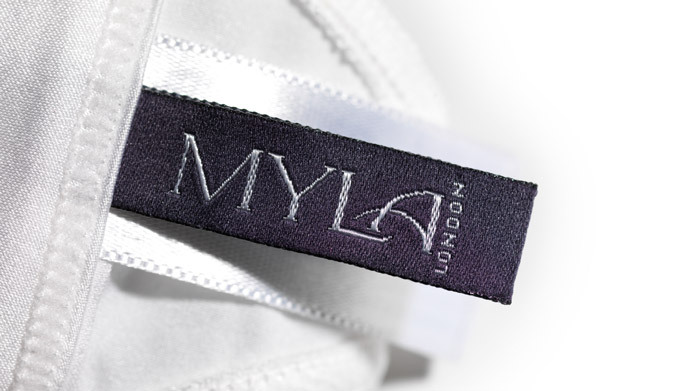 To create all brand communications for luxury lingerie brand, Myla. 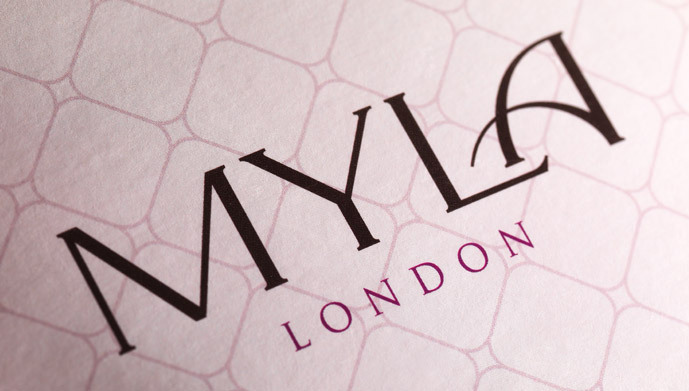 There was an opportunity in Myla’s specific market for a more luxurious brand. With Ann Summers at the lower end and Agent Provocateur selling the designer lingerie, Myla could exploit the top end of the market, targeting the top 20% of the female clientele aged 20 – 50. 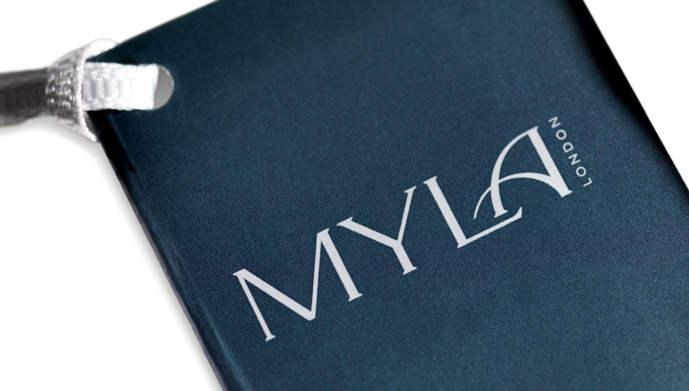 We decided that Myla should be communicated as a lifestyle suggestion rather than a product-drive, overtly sexual brand; more boardroom than bedroom. Our new logo and packaging evoked this high-end lifestyle, focusing on a discrete elegant and contemporary style. The mark is the only element of the identity that is slightly provocative, embodying a distinctly art deco feel.